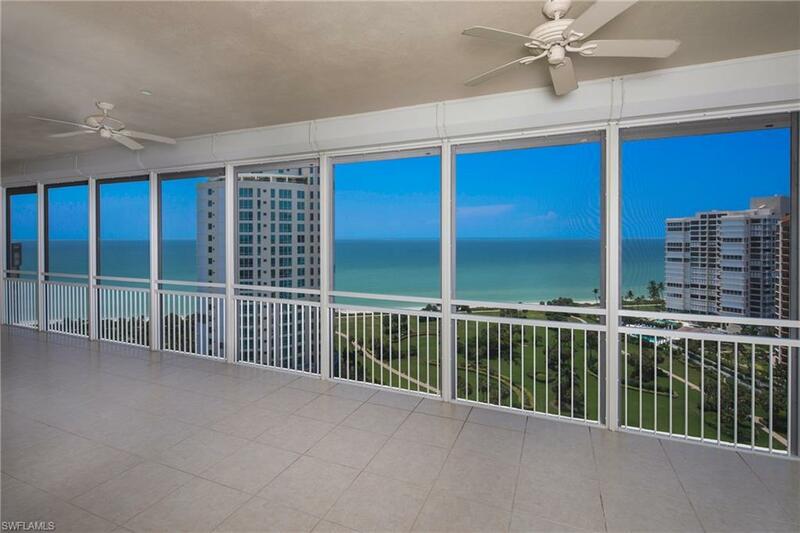 Stunning Provence corner unit offers sweeping Panoramic Views from the 17th floor overlooking the white sugar sand beaches of the Gulf of Mexico and the beautiful Park Shore gardens. 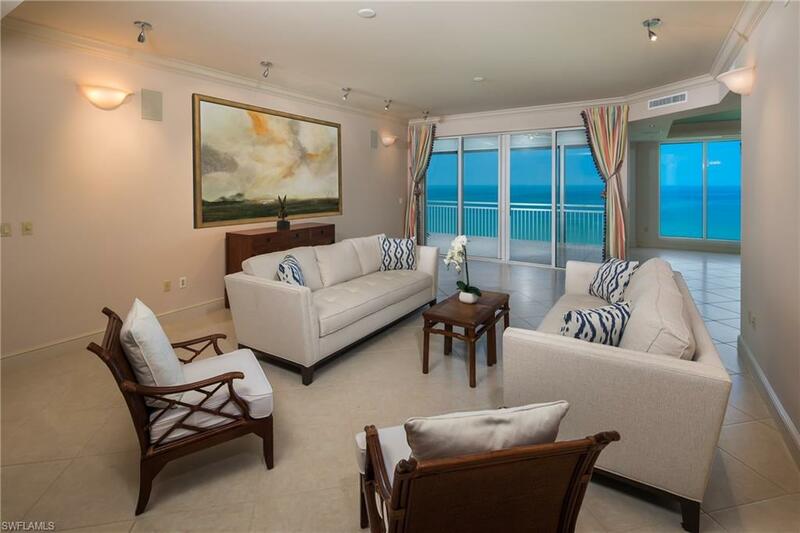 At 3,736 square feet under air, four bedrooms with one bedroom currently set up as an office, and five baths (4 full and 1 half bath) this residence truly lives like a magnificent beachfront home. Provence #1704 features ten-foot ceilings, eight-foot doors, large open great room, two screened outdoor lanai areas, impact windows throughout, a gourmet kitchen, separate dining area, and a large master bedroom suite. Provence also offers 24-hr front desk personnel, social room, fitness room, pool area with grills, tennis, two guest suites and two assigned parking spaces. Provence is pet-friendly as well. 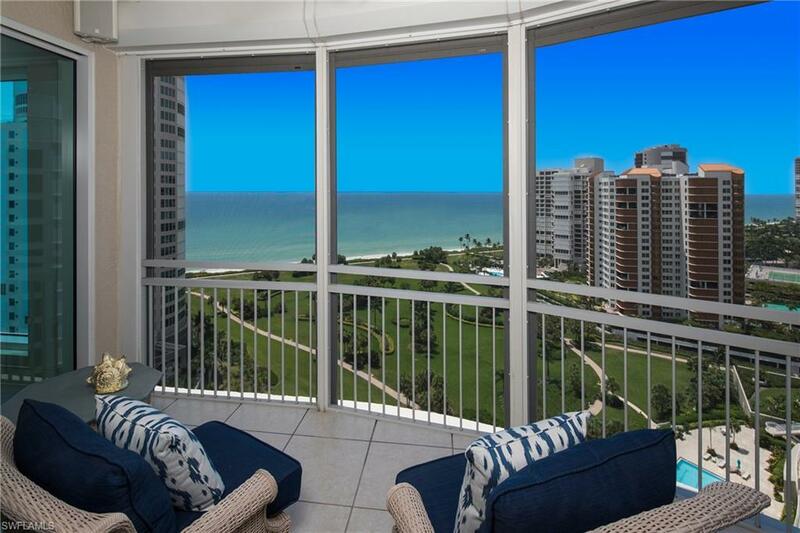 Conveniently located directly across Gulf Shore Boulevard from the shopping and dining of The Village on Venetian Bay.